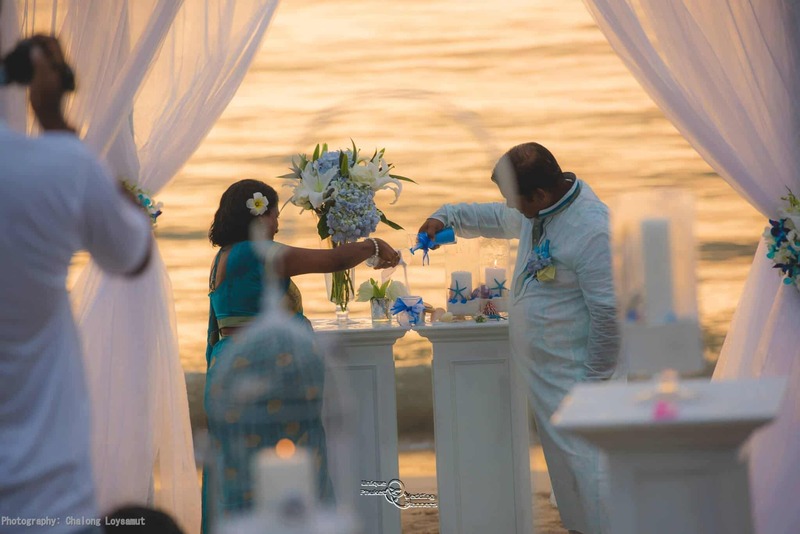 It was a beautiful Phuket Wedding Vow Renewal Ceremony for Kumar & Viji’s 10th Wedding Anniversary at Layan beach on 26th December 2016. The day started with a Thai Monks Wedding Blessing at Wat Chalong followed by the stunning Phuket Wedding Vow Renewal Ceremony later the same day. It was all organized in secret by their Uncle GV and it was a complete surprise day for Kumar & Viji. 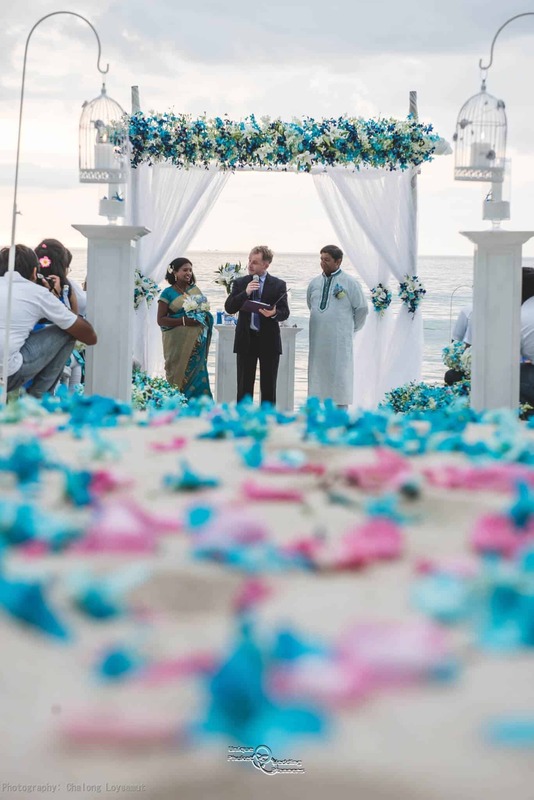 The Wedding Vow Renewal Ceremony itself was created without their knowledge, which proved a challenge for this Wedding Celebrant, but with the help of GV, we managed to put together a Ceremony that the happy couple could relate to. So a big thank you to GV for all his help. 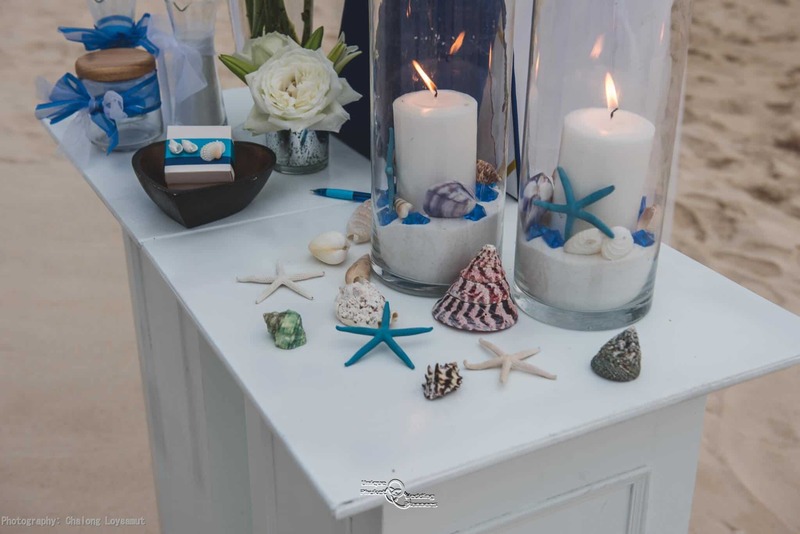 Finally, unexpectedly, there was a short shower but this didn’t dampen the spirit on a wonderful Vow Renewal Ceremony, we just took a momentary break for the Unity Sand Ceremony until the shower has passed. 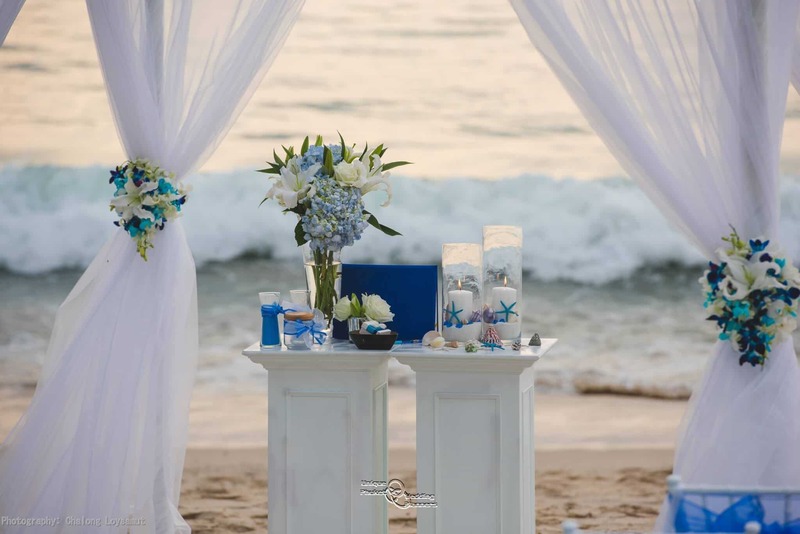 The whole beach ceremony was ended with beautiful fireworks on Layan Beach on a beautiful cool Phuket evening. Thank you GV, Kumar and Viji for the privilege of being your Wedding Celebrant in Phuket. 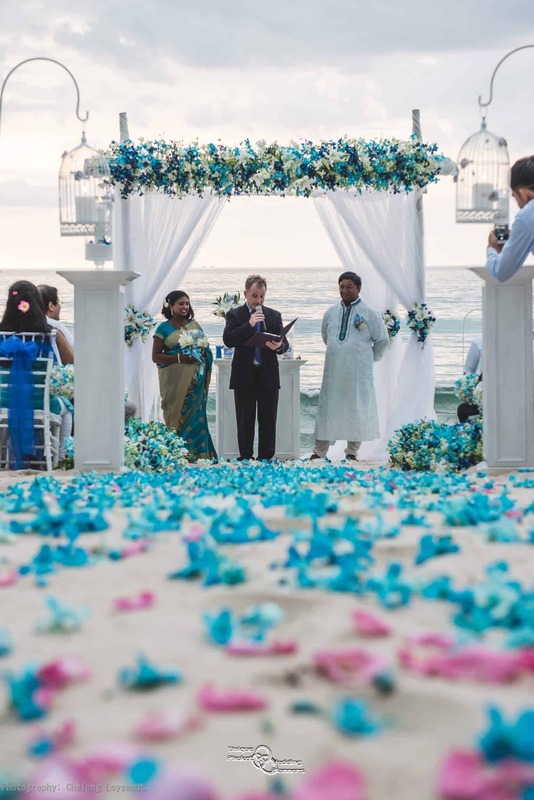 If you are looking for a Wedding Celebrant in Phuket or in Asia please contact me here or make a booking inquiry here.